Tower Barracks Main Exchange at Grafenwoehr, Germany. GRAFENWOEHR, Germany — The Army & Air Force Exchange Service treats active-duty Soldiers like family. When Soldiers transition to Individual Ready Reserve, or IRR, status, they remain family to the Exchange, keeping the shopping benefit they’ve earned. 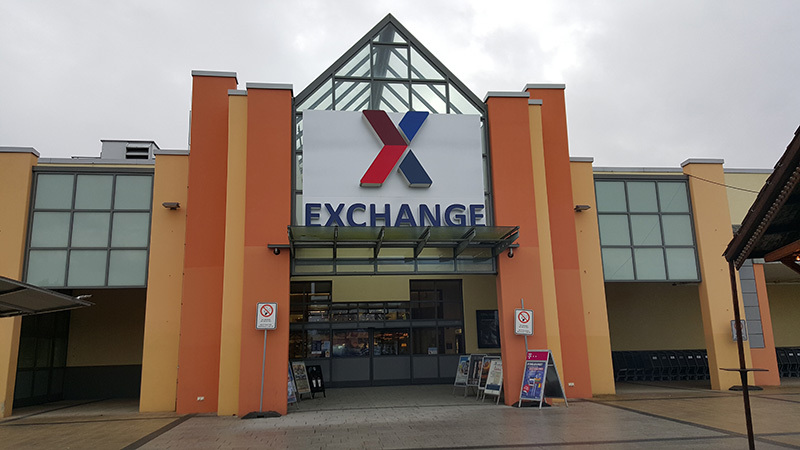 “Soldiers transitioning to IRR status are very much a part of the Exchange family and can still shop at their local Exchange,” said Grafenwoehr Exchange General Manager Carl Carpenter. “Their Exchange benefit, including tax-free shopping and competitive prices, remains intact during their time in IRR.” Soldiers should first check with the garrison customs office for any restrictions for those in OCONUS. Soldiers transitioning from active duty and their families can continue to visit the Exchange, Express, mall and food court. They can also shop online at shopmyexchange.com for exclusive military pricing on many items and an expanded merchandise selection. Besides retaining shopping privileges, those in IRR status keep their Military Star card benefits. If they don’t have an account, they are eligible to apply for one.